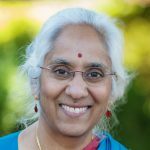 Saraswathi Vedam is Lead Investigator of the Birth Place Lab and Professor of Midwifery, at University of British Columbia. She has been a clinician and a health professional educator for over 30 years. Professor Vedam has successfully coordinated multi-stakeholder community-led research projects in provincial and national settings. Her research projects include the national, CIHR-funded Canadian Birth Place Study examining attitudes to place of birth among maternity care providers; and Changing Childbirth in BC, a provincial, participatory study of women’s preferences for maternity care. The Giving Voice to Mothers Study explored experiences of respect, discrimination, and inequities in access to quality care among communities of color and among those who plan home and birth center births. Professor Vedam is currently PI of a CIHR-funded national research project to evaluate respectful maternity care, Giving Voice to Mothers-Canada. In 2017, she was selected as one of the inaugural, Michael Smith Health Research Institute Health Professional Investigators. She has applied her expertise with instrument development and psychometric evaluation to the development of clinical screening tools, MAPi, the Movement and Pulse index to assess fetal well-being, and scales to measure provider attitudes to home birth (PAPHB, PAPHI-i). Recently, she lead a multi-disciplinary team in the Access and Integration Maternity care Mapping (AIMM) Study to develop the MISS index, an evidence-based composite measure of the integration of midwives into health systems. She also led a Delphi team of multi-disciplinary experts to develop and validate the Birthplace ResQu Index, first critical appraisal tool for research on safety of birth place. Professor Vedam and her team have applied patient-oriented data to the development and validation of three new quality measures, the Mothers’s Autonomy in Decision Making (MADM) scale, the Mothers on Respect (MOR) index, and the Pregnant Persons’ Experience of Mistreatment by Providers (PPEMP) index, which are being applied in high and middle resource countries to evaluate quality of maternity care at the institutional, system, and country levels. The patient-informed data from the application of these tools led Professor Vedam to develop an interprofessional online course, Dialogue and Decisions, to teach medical, nursing, genetic counseling and midwifery learners the process of person-centred decision making and conflict transformation. Professor Vedam has been active in setting national and international policy on place of birth, and midwifery education and regulation. She has provided expert consultations to policy makers in Mexico, Hungary, Chile, China, the Czech Republic, Canada, the US, and India. She was Convener and Chair of 3 national Home Birth Consensus Summits. At these historic summits a multi-stakeholder group of leaders (clinicians, consumers, policymakers, legislators, researchers, ethicists, and administrators) crafted a common agenda to address equitable access to high quality care across birth settings in the United States. In 2010, she chaired the 5th International Normal Labour and Birth Research conference in Vancouver. My interests in patient-centered, evidence-based perinatal care have led me to study, speak and publish about home birth practice and aspects of care which are especially relevant to midwifery practice. Midwife attended planned home births and birth center births are venues in which midwives practice in an independent and interdependent management role, and hence, can observe the effects of applying the best available evidence and collaborating with clients and colleagues on individualized plans for perinatal care. Describing the characteristics of normal birth, the midwifery process of care, and integration of the midwifery model of care into the health care system are the areas of my scholarship. Vedam S, Stoll K, Martin, KK, Rubashkin N, Partridge S, Thordarson D Jolicoeur G & the CCinBC Steering Council. (2017) The Mother’s Autonomy in Decision Making (MADM) scale: Patient-led development and psychometric testing of a new instrument to evaluate experience of maternity care. PLOS ONE, 2017. http://dx.doi.org/10.1371/journal.pone.0171804. Vedam S. (2016) Undisturbed Birth: Addressing Quality and safety in the United States. California Association of Midwives Annual General Meeting, Tahoe, CA. Vedam S. (2016) Whose agenda and whose destiny? Enhancing quality, validity, and reliability in survey design. Master Class. University of Technology Sydney, Australia. April 5. Vedam S. (2016) Person-centered maternity care: Measuring autonomy and respect in high resource countries. University of Sydney, Interprofessional Rounds, Royal Women’s Hospital. Sydney, Australia. Vedam S, Stoll K, Schummers L et al. (2016) The Canadian Birth Place Study: Understanding conflict and controversy among maternity providers. Place of Birth Seminar, University of Technology, Sydney, Australia. April 29. Vedam S. (2016) In search of common ground: the Home Birth Summit model for change. Place of Birth Seminar, University of Technology, Sydney, April 29. Vedam S, (2016) Stoll K, Jolicouer G, Martin K et al. Person-Centered Maternity Care: Measuring Autonomy and Respect in North America. Canadian Association of Midwives Annual General Meeting, Victoria, British Columbia. Vedam S, (2016) MacDorman M, Stoll K, DeClercq E, Cheyney M, Fisher T, et al. Mapping Integration of Midwives and Access to Physiologic Birth across 50 states. International Confederation of Midwives Triennial Congress, Toronto, Canada, abstract accepted. Vedam S, (2017) Stoll K, Monroe S, Jennie Joseph J, Paula Rojas P, Roberta Eaglehorse R, Strauss N, DeClercq E. et al. The Giving Voice to Mothers Study: Measuring Respectful Maternity Care in North America. International Confederation of Midwives Triennial Congress, Toronto, Canada, abstract accepted. McRae D, Muhajarine N, Stoll K, Mayhew M, Vedam S, Mpofu D, Janssen P. (2016) Is model of care associated with infant birth outcomes among vulnerable women? A scoping review of midwifery-led versus physician-led care. Social Science and Medicine: Population Health. Vedam S, Stoll K, Martin K, Jolicouer G. (2015) Women taking charge of changing childbirth in British Columbia. Abstracts from Research Forums Presented at the American College of Nurse-Midwives’ 60th Annual Meeting. Journal of Midwifery & Women’s Health, 60: 637. Cheyney M, Bovbjerg M, Everson C, Gordon W, Hannibal D, Vedam S. (2014). Outcomes of Care for 16,924 Planned Home Births in the United States: The Midwives Alliance of North America Statistics Project, 2004 to 2009. J Midwifery Women’s Health. 59(1):17-27. Cheyney M, Bovbjerg M, Everson C, Gordon W, Hannibal D, Vedam S. (2014) The MANA Statistics Project: Development of a national registry of data on midwife-led planned home and birth center births. Journal of Midwifery and Women’s Health. 59 (1): 8-16. Vedam S, Stoll K, Schummers L, Rogers J, Paine L. (2014) Home birth in North America: Attitudes and practice of American Certified Nurse-Midwives and Canadian Registered Midwives. Journal of Midwifery and Women’s Health. 59(2):141-152. De Vries RG, Parachuri Y, Lorenz K, Vedam S. (2013) Moral Science: Ethical argument and the production of knowledge about the safety of hospital and home birth. J Clinical Ethics, 24(3):222-235. Vedam S, Schummers L, Stoll K, Rogers J, Klein MC, Fairbrother N, Dharamsi S, Liston R, Chong GK, Kaczorowski J. (2012) The Canadian Birth Place Study: Describing maternity practice and providers’ exposure to home birth. Midwifery, 28(5): 600-608. Schummers L, Vedam S, Fairbrother N, Klein M, Kaczorowski J. (2012). The Canadian Birth Place Study: Development, validation, and administration of a questionnaire to multi-disciplinary maternity care providers. Canadian Journal of Midwifery and Practice, 11(1):35-45. Ellis C, Schummers L, Stoll K, Carty E, Vedam S. (2012) Assessment of the Midwifery Education Program at the University of British Columbia: A survey of graduates and midwife mentors. Canadian Journal of Midwifery Research and Practice, 12(1), 8-18. Vedam, S., Aaker, J., Stoll, K. (2010). Assessing certified nurse midwives’ attitudes towards planned home birth. Journal of Midwifery and Women’s Health, 55(2): 133-142. Vedam, S., Stoll, K., Aaker, J., White, S., Schummers, S. (2009). Nurse-Midwives experiences with planned home birth: Impact on attitudes and practice. Birth: Issues in Perinatal Care, 36(4): 274-282. Janssen PA., Henderson AD., Vedam S. (2009). The experience of planned home birth: Views of the first 500 women. Birth: Issues in Perinatal Care, 34(4): 297. Vedam, S., Goff, M., Marnin, V. (2007). Closing the theory-practice gap: Intrapartum midwifery management of planned home births. Journal of Midwifery and Women’s Health, 52(3): 291-300.